The conventional wisdom says that you should wait until the snow melts, and the grass greens, and list your home at the time of year we call, "The Spring Market." There is some truth to that, but in this inventory-starved environment, you may not want to wait until "everyone else" is putting their homes up for sale. There are buyers who are seriously looking now, even though weather conditions can be daunting. 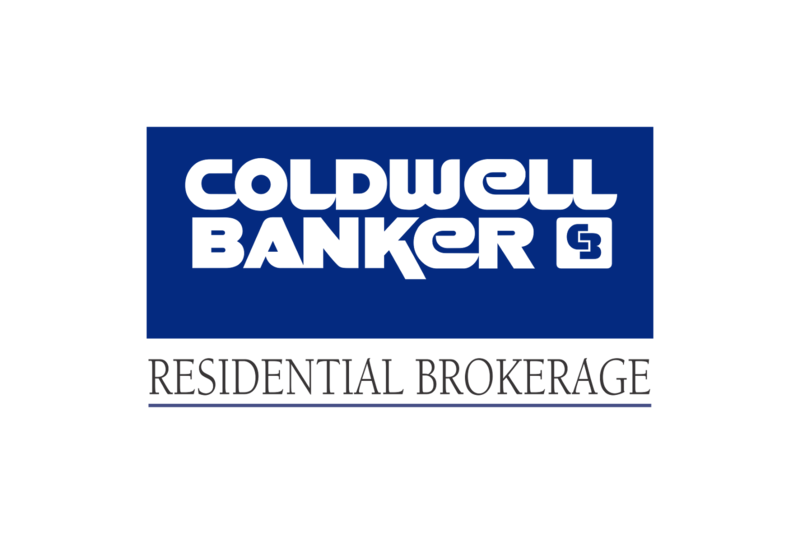 These buyers are becoming frustrated because most prospective sellers are still in deep hibernation and there's not much to see. 1. Add some exterior color to make your home stand out. It's too cold to paint but you can add a wreath or some wintergreens to frame your front door. 2. Make sure your Christmas decorations have been packed and put away. Buyers are longing for the coming of spring, not looking back at last year's holidays. 3. Keep your driveway and walkways free of snow and ice. Do whatever you have to do--including using heated mats--to ensure a clear, safe pathway to the door. It's critical that buyers (and their agents) don't feel like they'll have to risk their lives to get into your home. You want them to feel relaxed, not stressed, when they get there. 4. Remove the screens from your windows. And make sure the interior window panes are squeaky clean. You want the available light to shine in, unimpeded, to enhance your home's warmth. 5. Refrain from using plug-in scents or scented candles. Instead, open a few windows for several minutes every day--yes, even when it's bitterly cold. You want your home to smell fresh, not phony or flowery, and you don't want to give buyers the impression that you're trying to cover up unpleasant or stale odors. 6. Bump up the wattage of the bulbs in your lamps. And replace any fluorescents with LEDs. Yes, they're more expensive, but they will bathe dark spaces with a more natural light, as your professional photographer will attest. 7. Hire a crew of professional cleaners. Ask them to dig deep into crevices and corners to ensure that your home is--as one of my favorite home stages likes to say--"Q-Tip clean." Carpets should be steam-cleaned to reinforce the overall aura of extreme cleanliness. 8. 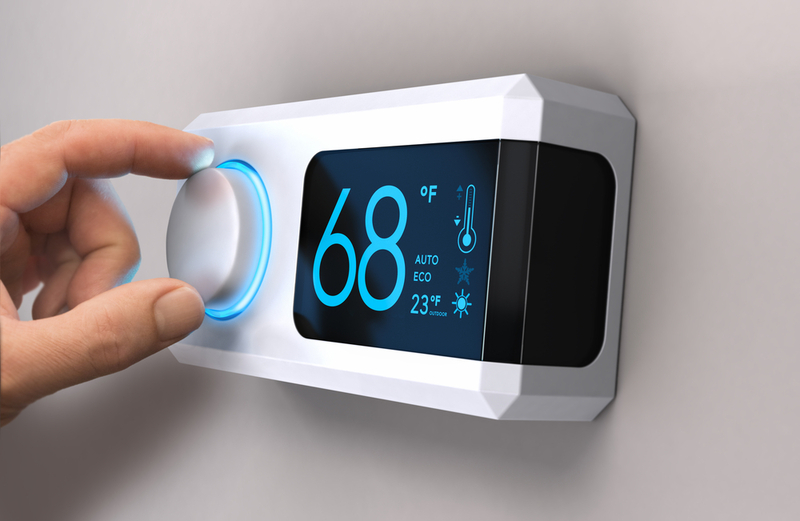 Keep the thermostats stoked to a reasonable temperature. Set the controls at a minimum of 68 degrees, especially if your home is vacant. Don't try to save a few pennies by letting the house become irritably cool. It's not worth it. 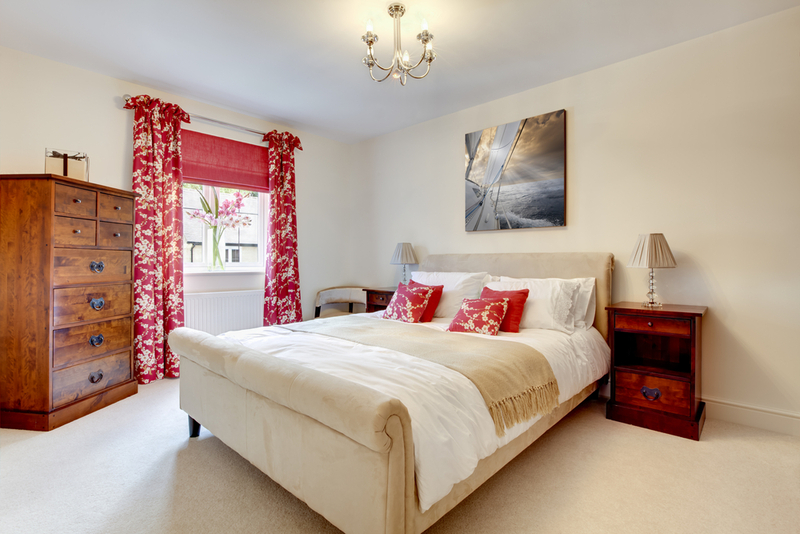 You want your home to convey a feeling of warmth of comfort. This is not the time for frugality. 9. Bring in some new, healthy green and flowering plants. Place them judiciously throughout the house to add perks of color and life. Discard any dried arrangements and plants that look bedraggled, brown, or near death. 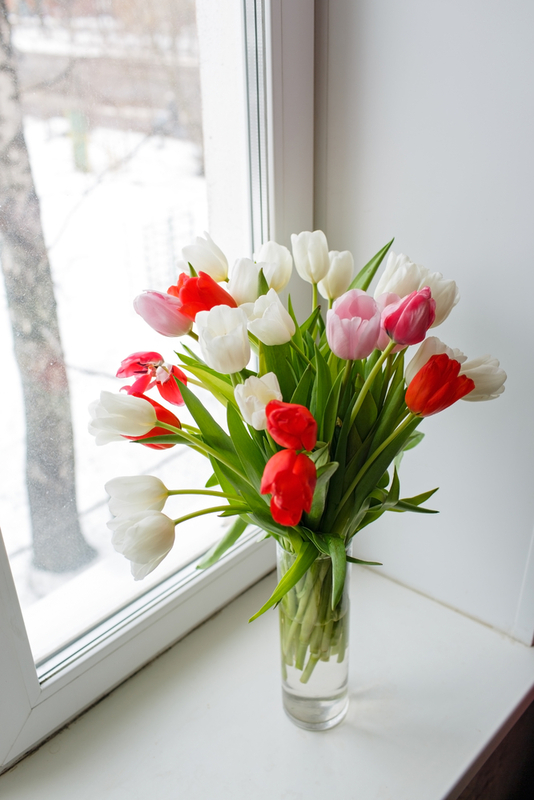 Feature fresh tulips on tables, countertops and windowsills. The idea is to demonstrate that your home supports vibrancy and health, even when it's cold outside. 10. Play up your home's cozy-ness. Add colorful quilts, pillows, and throws to beds, chairs, and couches. If you have a propane firepace, consider turning it on during showings and open houses. Make prospective buyers feel like you're inviting them to stay awhile.